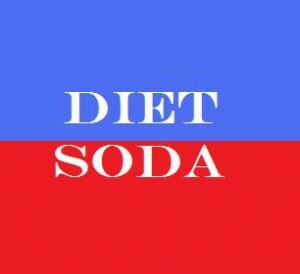 Most regular soda drinkers preferred having diet drinks because they believed that these drinks helped in weight control. Another misconception that soda drinkers have is that their zero calorie soda did not have any harmful side-effects. However, a recent study has found that these zero calorie drinks may not be the perfect health solution as they were perceived to be. The study has found that the risk of heart attack or stroke increases by 43 percent among people who drank at least one diet soda a day when compared to people who did not drink any diet soda. Even though diet drinks have fewer calories when compared to normal soda, these drinks have certain unhealthy side-effects. The study was conducted by Columbia University and University of Miami. For the study, the researchers followed more than 2500 men and women for a period of 10 years. Out the 2500 people, 591 people had a stroke, heart attack and other cardiovascular problems. Of the 591 people who had heart problems, 163 people drank diet soda at least once a day. Even though researchers have found association between drinking diet soda and heart problems, they have not pointed out the exact cause of problem. However, when rats were given artificial sweeteners it increased their overall food intake and also their weight. Some health experts are of the view that some soda drinkers may have lead an unhealthy lifestyle which could cause health problems. They believe that it is wrong to blame diet drinks for heart problems in people who lead an unhealthy lifestyle.